Steamed egg (egg custard) is a simple dish. 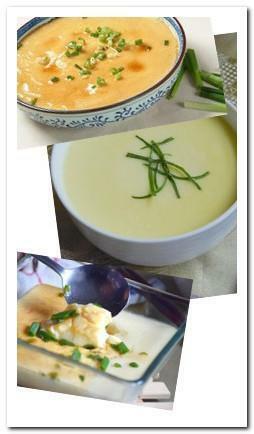 A good steamed egg has smooth and silky texture similar to tofu pudding. It is a popular Chinese home-style dish and always serves with rice. It is easy to cook and only requires simple ingredients, but it can have numerous variations. Crack eggs into a large bowl. Beat eggs, slowly whisk in water, salt and sesame oil until everything mix well. Try to avoid making bubbles so you will have a smooth and silky steamed egg.